Kitchen Riffs: Kitchen Riffs is on Gojee! I’m delighted to announce that Gojee is expanding their content and list of contributors, and has asked Kitchen Riffs to contribute to their site. What is Gojee and why should you care? Glad you asked that. Gojee.com began this summer as a collection of high quality, nicely photographed, hand-curated recipes. It’s kind of a Google or StumbleUpon for food blogger recipes. What makes Gojee unique is that you can enter your likes or dislikes, or a list of ingredients in your pantry, or a food/drink craving you happen to have, and it will suggest recipes you might want to try. If you’re interested in a recipe, click on it and it takes you to the website of the blogger that wrote the recipe. 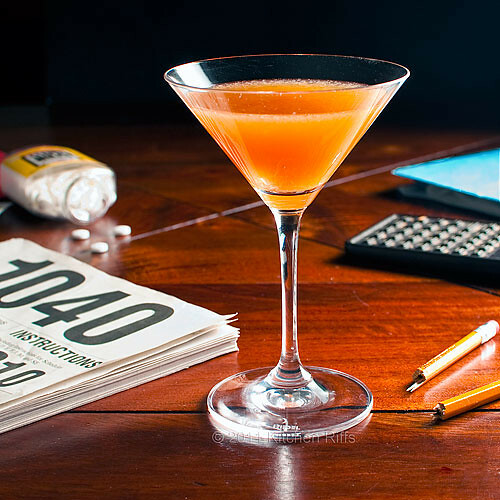 Don’t worry, unlike other sites, you won’t find 400 of the same martini recipe. And if you find something you haven’t heard of, you can rest assured it’s not a Four Loka and Everlear abomination some frat brother decided to “invent.” All of our bloggers are handpicked and each of their recipes are screened by real live humans before graduating to Gojee Drinksdom. 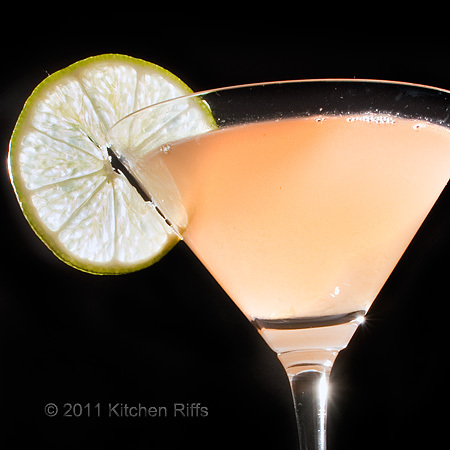 You’ll find only the most drool-inducing, awe-inspiring and hyphen-warranting drink recipes here. So, What Does Kitchen Riffs Get Out of This Deal? Nothing! Except for exposure, of course. I’m doing this blog for fun — currently I have no plans to “monetize” Kitchen Riffs — but it’d be a drag if I did all this work and no one came to read it. Having some of my work appear on Gojee is just another way to spread the word about my blog. 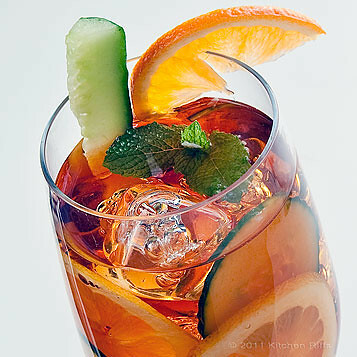 And Gojee is a really cool looking site — they showcase luscious food and drink photographs to advantage. Plus they really do have some topnotch contributors and great content. So when they approached me several months ago and asked if I’d like to contribute some of my recipes and photos, I was interested. When you go there, you’ll find several of my drinks, including: The Income Tax Cocktail (photo at the top of this post), The Pegu Club (second photo), and The Pimm’s Cup (last photo, and my all-time most popular post). Gojee is a (free) subscription site because they want to encourage you to list your likes/dislikes so they can suggest the most useful recipes. But it takes just a minute to enter an email address and a password. And you can tell Gojee that I sent you. This is a great post! We're so glad to have found you and your awesome recipes. Hi Veronica, happy to be a contributor! Thanks for the kind words, and for stopping by. Congrats!! That is super exciting. I subscribe and it's a great site. Very excited to see your wonderful cocktail recipes there. Hi Katherine, Thanks! They've got some great, experienced contributors and and honored to be among them. And surprised! My blog is less than a year old. Thanks for the comment. Oooh-Can't wait to try some. But do something with St. Germaine- that is my new favorite. Anything with St. Germaine will make my day. Hi Abbe, thanks! St Germaine - hmmmm. Not a common cocktail ingredient but I know I've seen it in some cocktails (newer cocktails, usually). Let me think about that! Thanks for stopping by. Hi Nisrine, trust me, you'll feel even better after you taste one! Thanks for taking time to comment. Wow that is great! I was wondering how they choose contributors. I hope one day I can say the same! :) Have fun! Hi Kristi, thanks! I was surprised they chose me - I had no idea I was under consideration until I received an email from them asking me if I'd like to contribute some specific photos. I think it was largely luck - they were adding a drinks sections, and I had some cocktail photos they wanted to add. Good luck with your blog, and I hope they add you one day too. et voila c'est comme cela que j'ai connu ce blog , merci Gojee..
and here is how I got to know this blog, thank you Gojee ..
Hi Snoupette, glad you found me! Thanks for commenting.